Local RadarAccess our comprehensive weather radars for current conditions within your area. 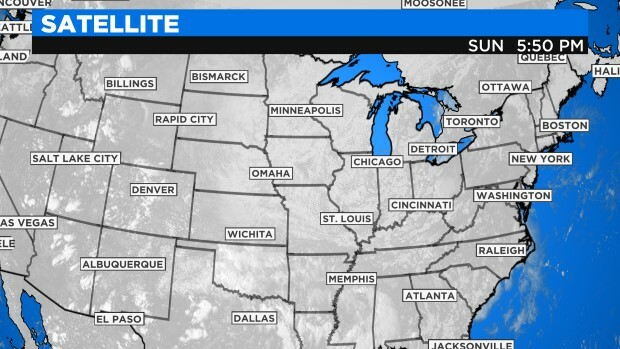 Parts Of Michigan Hit With Wintry WeatherParts of Michigan are getting hit with wintry weather as a storm system that unleashed a blizzard in the Upper Midwest moves through the region. What To Expect As Winter Storms Hit Michigan, MidwestWinter has returned for a couple days and Southeastern Michigan is seeing lakeshore flood warnings and a wintry mix of sleet on the way. Statewide Tornado Drill Planned for WednesdayA voluntary statewide tornado drill is planned in Michigan as officials encourage residents to prepare for the possibility of severe weather this spring and summer. Houses Destroyed as Tornado Touched Down in Shiawassee CountyAt least 21 homes were damaged or destroyed as a evening storm went through Shiawasse County. 4 Tornado Safety Tips That Could Save Your LifeThey can happen at any time and threaten every corner of the United States. It is time to prepare for one of the world's most destructive types of weather: tornadoes. Ice, Snow Headed For Metro Detroit Wednesday Another wintry mix is headed our way Wednesday, forecasters say. Gusty Winds, snow could create havoc for Michigan motoristsWinter continues to keep a tight hold on Michigan as strong winds and more snow swirl across parts of the state. School Close Across Metro Detroit Due to Ice & SnowSchools close in Metro Detroit and across the state of Michigan as snow and icy weather hit the state.